I've heard and seen Human Heart Nature products from the other beauty blogs. Honestly, I considered myself ignorant when it comes to natural products. So, when I saw Human Heart Nature in Beauty Bar, I can't help myself but spared long minutes scrutinizing it. I felt the urge to try one of their products and so, I picked one. It’s time to break free from breakouts! Keep oil under control with the improved Balancing Facial Wash - nature’s blend of manila elemi, prized ingredient revered by the world’s beauty industry, and marine extracts for shine-free, glowing skin. Infused with sugar beet and aloe vera to help replenish lost moisture while bamboo scrubs and loofah gently exfoliate clogged dirt and trapped oil. So stay away from chemical soaps that can strip your face of its natural moisture barrier, causing it to produce even more oil. Your skin deserves a gentle yet effective facial wash that doesn’t make your skin say “Ouch!” Now you’re free to reveal clearer, fresher, healthier skin! I saw only two (2) variants of facial wash available in the display but when I checked on Human Heart Nature website, I found out it is available in three (3) variants - Hydrating Creamy Wash (for Dry or Mature Skin), Nourishing Facial Wash (for Normal or Sensitive Skin) and Balancing Facial Wash (for Oily or Combination Skin). These are available in two (2) sizes; a 50 ml and a 200 ml. I got the small one which costs Php85.00 but I found out from their website that this bottle is priced at Php79.75 and oh, good news because they are having now a special offer of Php69.75 only! How cool is that eh? ... 100% No Harmful Chemicals. ... It has a citrus scent. ... Natural, gentle scrubs & beads. ... It minimizes shine on my face. ... It dries up pimples fast. ... It dispenses just the right amount from the bottle. ... Hard to shake when it was still full. 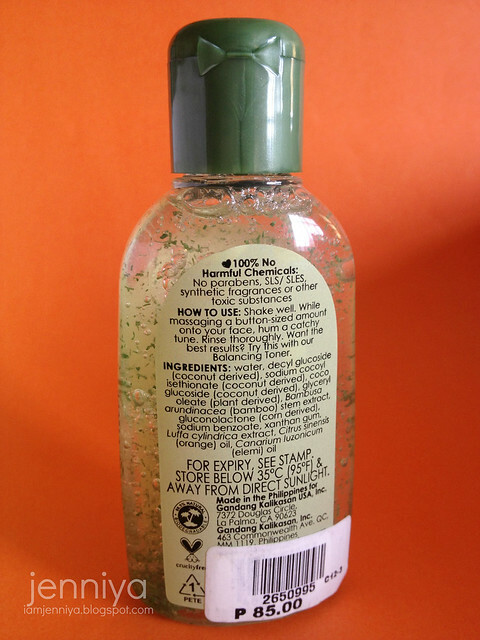 I love that this facial wash is clear and it housed in a transparent bottle. When I saw the green scrubs which are bamboo scrubs & loofah and the white micro beads which are sugar beets & aloe vera, I suddenly imagined how good it feels to get gently scrubbed by it especially that it is natural. I am fond of using products with beads, so I was sold. 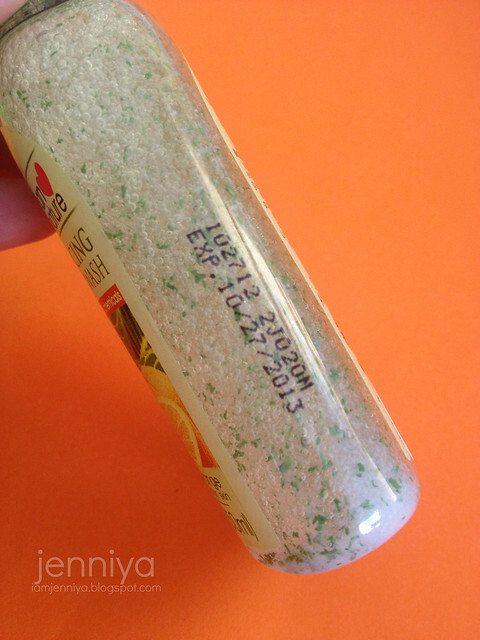 Actually, I always got sold off anything that promises gentle exfoliation. I am impressed of this facial wash. It leaves a shine-free face after washing. No sign of oil at all. I really felt squeaky-cleaned. The oil starts to appear after an hour but it was lesser than usual. Also, I noticed that my face is clearer now, less oily and it wasn't that nasty to look at when the oil takes the stage again to shine. Lol! I think the Vitamin C from the Orange worked well to clear out my skin. And the most amazing thing it did on my skin was it dried up my pimples very fast! You know, I recently had my hair trimmed (slashed-style) and got bangs for a change. Since then, I developed small pimples or rather sharp blemishes on my forehead and on my jaw line and I know it was because of my hair; the tips touch my jaw line as well my bangs touches my forehead. When I started using this Balancing Facial Wash, the pimples dried up very fast and vanished in 2 days. Of course, I managed my hair away from my jaw line and I clipped my bangs, too, and that helps anyway. I used this facial wash 2 times a day; morning and at night. The pea-sized amount is enough for the face and neck. 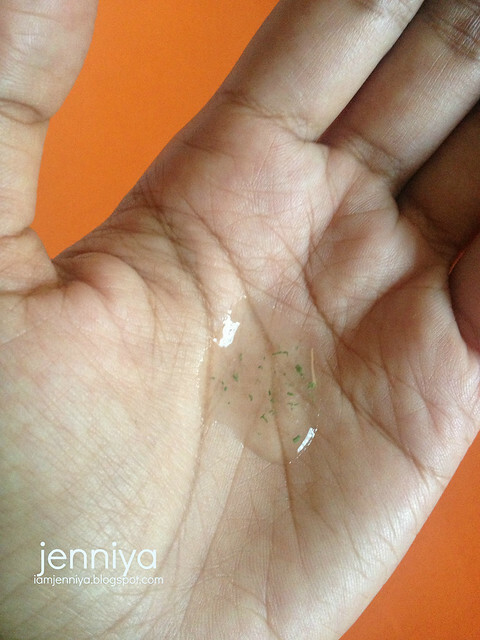 I wet my face first and squeeze out the product onto my palm. I apply the product onto my nose, cheeks, forehead, chin and my neck. Then, I gently massage it in a circular motion. The gel texture turned into a thin foam. The green scrubs and white beads are very gentle onto skin I swear. And the scent? I could not help myself but sniff the sweet and refreshing citrus scent of it. I have used this for about 2 weeks now and I never had a break-out yet (crossing fingers not to happen please). I think this product suit my skin. And oh, as far as I remembered, this is my first natural product I've ever used to my skin specifically to my face. Because of this good experience, I got curious and wanted to know more about natural products. Good thing, my curiosity has been answered by browsing Human Heart Nature website and I am satisfied with the knowledge I got. I am amazed of how they make use of nature's best by using natural ingredients in all of their products. Anyway, I think every product has a downside and this has it but nothing major; just pretty minor. It's hard to shake the bottle when it was full; it created a lot of tiny bubbles. The white beads that settled at the bottom didn't move at all even I shook it hard. But when I've consumed about 15% of the bottle which gave enough space and air in the bottle, I was able to shake it and finally, the beads at the bottom went up and floated together with the green scrubs. 4.5 out of 5. Good. 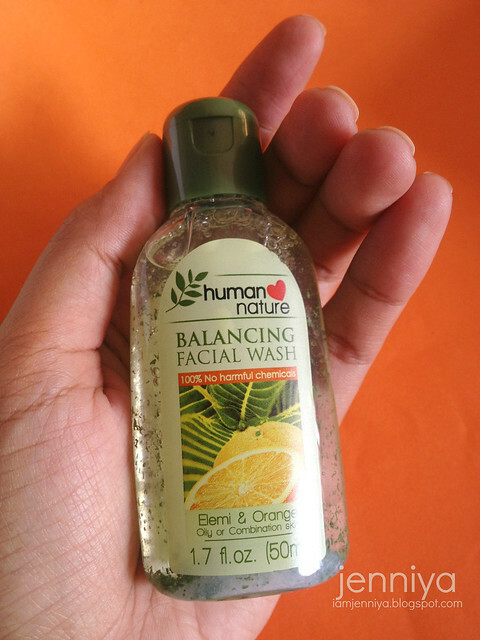 I also wanted to try the Balancing Face Toner but it was out of stock the same time I bought the facial wash. You can buy Human Heart Nature products in Beauty Bar branches or buy directly from the Human Heart Nature online store. 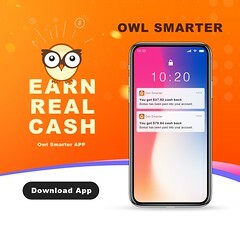 To know more about their products, click here and here. Hi dear! you're up again:) busy this past few days ? Well I'm glad you're back with this awesome review^_^ I rarely use facial cleanser, maxado akong tamad to do it every night.. :) I might try this out , and I hope won't be too lazy to wash my face this time.. heheheh..
Might as well look for this one in Watson's if this is availble there. I've been wanting to try this since I'm using their balancing toner in elemi & orange. Thanks for sharing this. Saan po nabbli ung toner? Hi Mharch. You can buy the toner at any Beauty Bar store. 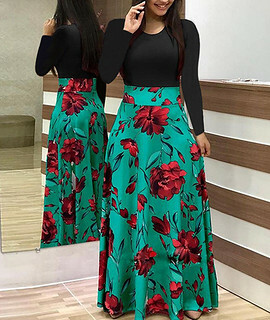 Hi jenniya! 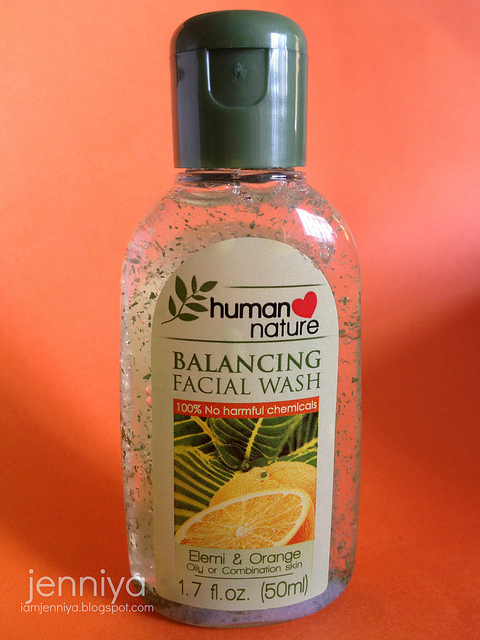 I really love the Human Heart Nature Balancing Facial Wash. It removes white spots and dirt in my face. I’ve been using it for almost a month since I got it from goods.ph (https://www.goods.ph/human-heart-nature-balancing-facial-wash-4770.html), because it was on sale. Hindi din nangati yung face ko or hindi rin ako nag ka allergy nung ginamit ko sya, kaya sobrang thankful talaga ako dito.